Raspberry Pi battery packs turn your plugged-in Pi into a portable computer. It’s easier than you think. Several mobile power options are available, from dedicated solutions designed for the Pi to custom-built DIY batteries. Get your Raspberry Pi out of the house and involved in some mobile projects, powered with one of these four options. Just like static Raspberry Pi projects, portable uses for the Raspberry Pi need to be powered by a good quality 5V micro USB mains adapter with a 1.2A (1200mA) current (although 1000mA should suffice for most projects on older Pis). However, the USB ports benefit from a supply of 2.5A (2500mA) if you plan to connect devices without a powered hub. 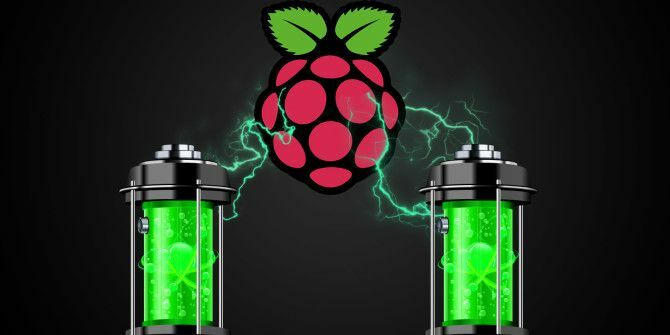 Which power supply you need depends on the final application of your Pi. The GPIO pins have a total requirement of 50mA, the HDMI port 250mA and keyboards as little as 100mA (dependent on model, of course). The Raspberry Pi camera requires 250mA. 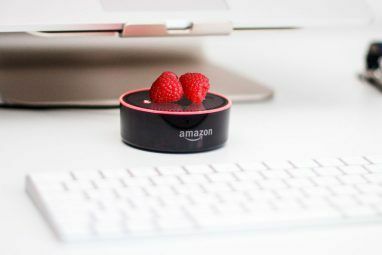 Checking the power rating of any hardware you plan to connect will give you an idea of the likely minimum requirements. It should also help you determine the best portable power option. Any portable battery designed to charge a smartphone over USB can be used with the Raspberry Pi. Sold as a dedicated solution is the Battery Pack for Raspberry Pi 3 B+ from VGE. Shipping with a case that can be attached to your Pi, this 4000mAh battery outputs 5V. Compatible with Raspberry Pi B+ and later, two USB ports let you power your Pi and a display. As you might expect, this battery pack can also double as a smartphone or tablet recharger. This makes it the perfect all-round portable battery for your favorite tech, ideal for the Raspberry Pi. Designed to the HAT specification, this compact solution makes your Pi self-powered and portable. Doubling as an uninterruptible power supply (UPS), the PiJuice HAT from Pi Supply can protect your Pi from sudden data loss. You can configure the HAT to run a managed shutdown when power is low, which cuts in when the main power is lost. Better still, the PiJuice HAT lets you take your Raspberry Pi out and about, making it ideal for a range of portable projects. A 1820mAh battery provides four to six hours charge, but there is support for a larger battery. This potentially gives over 24 hours of power to your Pi. Compatible with other boards, and with various features packed in (including a header for use with external devices), the PiJuice HAT is the most popular portable power solution for the Raspberry Pi. Comprising a two-layer acrylic board, battery expansion board, and a 5V battery, this is a slick Raspberry Pi power solution. Shipping with all the required cables, screws, and risers, the Kuman Lithium Battery Pack lets you mount your Pi along with the board. The expansion board sits below the Pi, allowing access to the connectors and the GPIO. It also features a power LED and switch and manages recharging. Double USB output is included, one to power the Pi, the other for a second device such as Kuman’s own 3.5-inch LCD display. Using this solution, you can expect up to nine hours’ charge, although this will depend on your Pi. For example, a Raspberry Pi 3 B+ running all four processor cores will run out of power quicker. In keeping with the nature of the Raspberry Pi, you might opt to build your own portable power supply. You can do this relatively cheaply, employing a battery box suitable for AA batteries and a Universal Battery Eliminator Circuit. You’ll need six or more AA batteries for this solution, but it’s possible to hook up other cells, if preferred. The UBEC is a power regulator that prevents batteries from damaging the Pi, so should be considered a vital component. A battery box and UBEC can be purchased for a total price of less than $15 including postage. Building your DIY portable battery pack is reasonably simple. Connect the red wire on the battery box to the red wire on the UBEC, repeating for the black wire. You might do this using a terminal strip, or simply by twisting and soldering the wires together. Depending on which type of UBEC you purchase, you may need to perform some customization here. They usually ship with a micro USB connector for your Raspberry Pi, but if you receive the three pin GPIO connector, then you will need to move the red wire to the outermost pin slot. Do this by releasing the catch on the connector; you can then pull the red wire from the middle slot and insert it in the outermost slot. This wire can be connected to the GPIO on pins 2 (the +5V red wire) and 6. To power up your Raspberry Pi, insert all but one of the batteries into the box and connect everything. When you’re ready, add the final battery and watch the status lights as the Pi boots. Success! Your chosen power cell’s duration will depend on use. If you built a handheld gaming system, then it is likely the charge will be depleted with constant use. 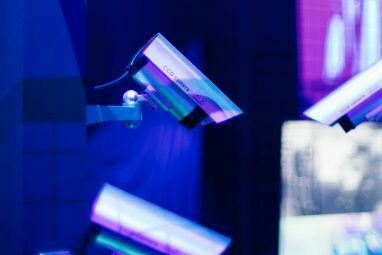 This contrasts with a project with a simpler use such as monitoring your network Turn Your Raspberry Pi into a Network Monitoring Tool Turn Your Raspberry Pi into a Network Monitoring Tool Network monitoring software Nagios is quick to install and straightforward to configure –but a waste of a full PC. Raspberry Pi to the rescue. Read More . It’s a good idea to test your project to get an idea of how long the charge will last. 4 Ways to Power Your Raspberry Pi on the Go! With so many options for Raspberry Pi battery projects, it’s important to have a flexible power solution. All these portable power solutions for the Raspberry Pi should help you run the computer outdoors, whatever the project. 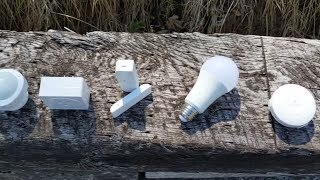 Using your Pi outdoors? Make sure your Raspberry Pi is secured Is Your Raspberry Pi Safe and Secure? Is Your Raspberry Pi Safe and Secure? 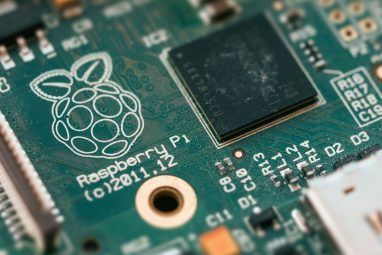 The Raspberry Pi may be the tech world's prodigy, but it's still vulnerable to remote attacks and intrusion. We show you how to protect it. Read More before beginning your next project. i want the switch on inline cabled management so long than waiting to have broken it trying the old plug in/out time. i read there is a kit around, but it is fractious. Good Article! I use a pack of 9 18650s in parallel and it lasts me for about 16 hours on the Pi 3 with the touch screen. Get good name-brand batteries, I got 20 batteries on eBay for ~$40. Don't buy ultraFire batteries. Include a LVC (low voltage cutoff), a 2A SMPS boost unit connected to the Pi's VCC and GND, and you're good to go! Are you using any Battery Management Circuit for monitoring the consumption of the battery? What about protection circuits etc? and why 9 18650 in parallel won't 4 of them do the job? I got one and it seems to work well. I have a circuit hooked up with 2 4-aa packs hooked up in parallel. Why doesn't this work instead of 6 AAs? Not sure. Are you using an UBEC? Does it the arrangement work with other devices (lamps/buzzers etc)? 2x4 AA: 4*1.5=6V, and 2x1.8 is 3.6A, which is close to what you need. You need to get this to 5V and a little less amperage. You might be able to just use a voltage limiter if the pi's max amperage is high enough. I honestly don't know, it should be on the spec sheet. 1x6=1.5*6=9V, 1.8A. Here the UBEC is necessary to convert this to 5V. The power supply gives 16.2W of power, so dividing gives you 3.24A. You won't get this through the power converter, though, since they are inefficient and you'll lose about 25% to internal resistance and heat loss. Figuring that it's 75% efficient, you'll get 2.43A, just what you need. I would probably go with this option, but the other can work. So you can do either and it should work, you just need different stuff in the in-between. How do I use a ps vita battery for the purpose and screen and is it possible to charge the battery using the pi? do you know where i can buy the Pineapple juice battery pack that you are talking about? I did... it was in the HakShop but they removed it for some reason. So I have no idea where you can get it now. Sorry.